This was going to be a Saturday Stat, but this one is so good I had to set it for today. The San Jose metro proves again that it is the innovation capital of the world by bringing in a staggering number of patents. 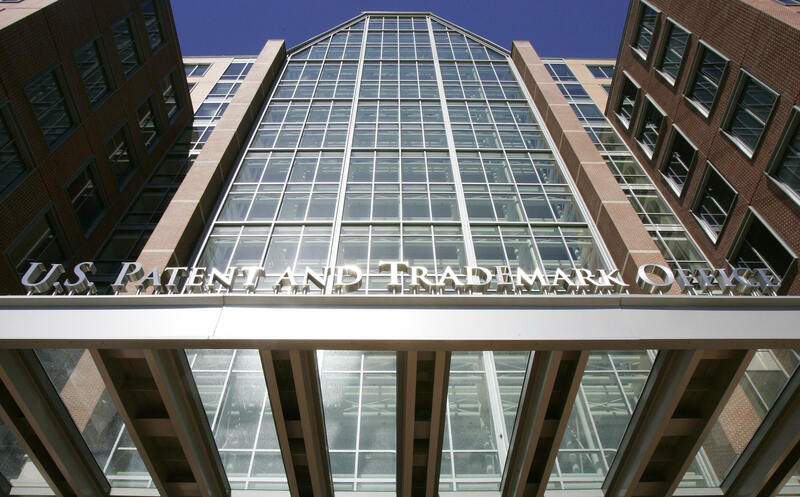 The average patent grants per year between 2007 and 2011 were 9,237. SF followed with 7,003 patents, and NY took 3rd place with 6,907 patents. We handily won in raw numbers, but when you look at patents per million residents (patents per capita)... well we pretty much smoked the entire country. The San Jose Area rakes in 5,066 patents per million residents. This is not only triple San Francisco, but it is equal to the per capita patent generation of San Francisco, New York, Los Angeles, Chicago, Philadelphia, Houston, Dallas, Atlanta, Washington DC, and Boston COMBINED. 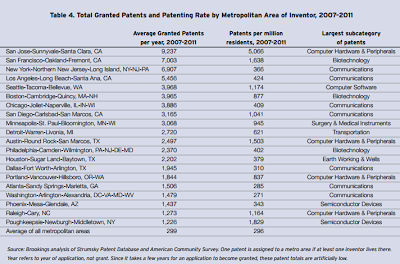 Yes, that's correct, it take 10 major metropolitan areas in the US to reach the same level of patent generation per capita as San Jose. 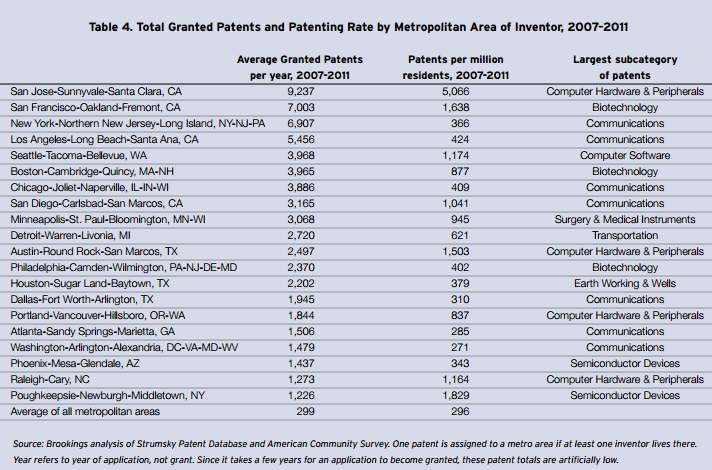 Another way to look at it, our patent generation is 17 times the national average for US metros. This is why the brand message San Jose needs to continue to push is Innovation. We shouldn't let San Francisco or any other Silicon Valley wannabe take that word away from us, because that is the single word that I think best describes who we are... and we have the numbers to prove it. Side-note, we are also getting a patent office of our very own somewhere either in San Jose or near San Jose in the not to distant future which will likely further accelerate patent generation in the area. One unfortunately reality - the satellite patent office MAY be in San Jose. They're looking all over the South Bay. The temporary home is in Menlo Park. That's right and its not clear from the post above (fixed). It will definitely be near or in San Jose, only Santa Clara county cities + Menlo Park were being considered last I heard. Yup...it's only a MAYBE. Our officials better be lobbying hard for this. Most federal buildings of the South Bay are here in San Jose, so it would make the most sense to be here. I know... I would be so bitter. It just seems right that we should get it, like we should finally start getting some respect for being the biggest city around. Why does the blog say we're getting it. Doesn't make any sense. Ba, we're not getting it. We MAYBE getting it. Just a small typo on Josh's part.